couldn’t let it win. I stabbed that turkey with my fork and took a bite. mind yelling at me for being a millennial meat hater. had lasted until this moment and it just blew out. silent. The turkey sat there, bones and all. My mouth kept spewing but I wasn’t looking at my uncle anymore. I was watching that turkey. 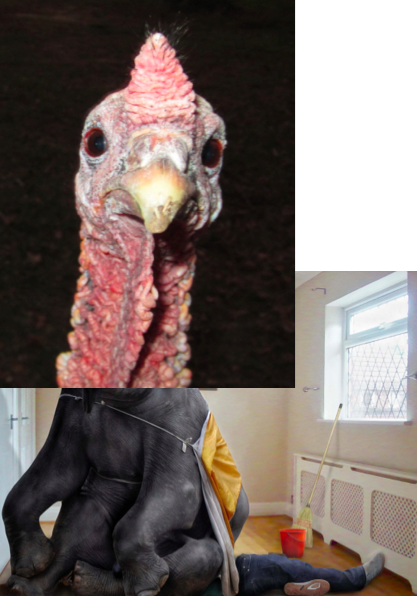 I didn’t know what was happening but that turkey kept looking at me with chilly indifference. Now, all I have to show for my valiant stance against bigotry is a tupperware full of leftover poultry. I don’t even want it. I’m a vegan, remember?